Canadian companies need to be much more active in Brussels in order to take full advantage of the Canada-European Union Comprehensive Economic and Trade Agreement. That’s about to change with the formation of the Canada EU Trade Investment Association, co-founded by Ottawa-based Plunkett, who serves as chairman; President Mark Camilleri, a Canadian and EU lawyer at Camilleri Law in Brussels with extensive experience in these markets; and Executive Director Julien Schiettecatte, a trade consultant in Brussels. CEUTIA is the first cross-sector industry association in Brussels to focus exclusively on promoting Canadian and EU trade and investment interests. 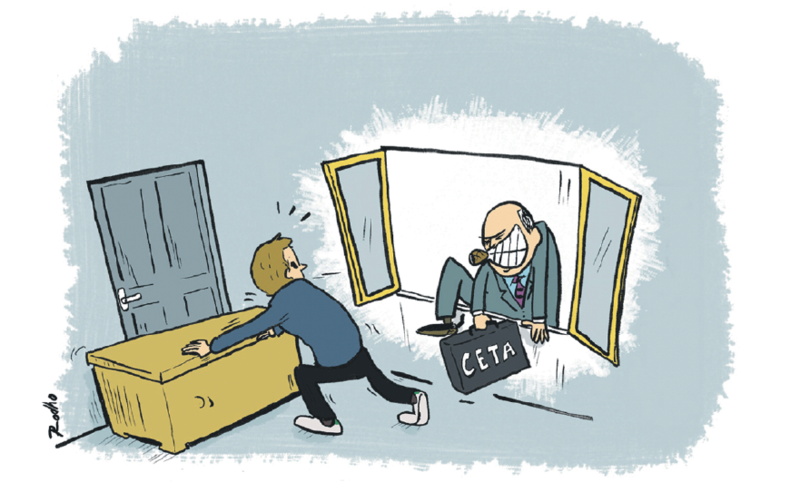 According to the organization’s website, CEUTIA is seizing on CETA’s ratification and implementation to “fill a void in Europe” and assist the treaty’s beneficiaries. The organization will provide intelligence to its members on the promotion and implementation of CETA, promote cooperation and dialogue between Canadian and EU businesses, and facilitate cross-Atlantic business development. Driving all this is CETA’s chapter on regulatory cooperation, which sets out an infrastructure that includes a number of specialized committees focused on identifying and reducing non-tariff or technical barriers to trade. "This institutionalizes the opportunity for Canadian business to take full advantage of CETA by having a role in EU decision-making,” Camilleri says. Historically, the trade regulation process tends to be opaque. It’s frequently only after implementation that companies realize they will be unable to sell their products or provide services. The regulatory cooperation provisions of CETA, however, seek to improve transparency by making specific reference to consultation with the private sector. The fact that Canada is viewed as a like-minded jurisdiction by the EU is cause for optimism. “We’re seen as a regulatory model from which the EU can benefit,” Camilleri said, citing Canada’s long history with foreign investment review and the EU’s recent interest in similar legislation. A full-time presence in Brussels, Camilleri believes, will also help Canadian business keep its finger on the pulse of the “Brussels bubble,” the city within the city where EU institutions are located and where its staff work and play. Quite apart from the decision-making process, “there are a lot of informal opportunities that beckon,” Camilleri said. CEUTIA also hopes to build on the longstanding political framework shared by Canada and the EU for facilitating commercial and economic cooperation, including the strong relationships that the federal government and some provincial governments have developed with various EU institutions. Still, Camilleri believes that it is the business community that should take the lead in advocating its own interests.